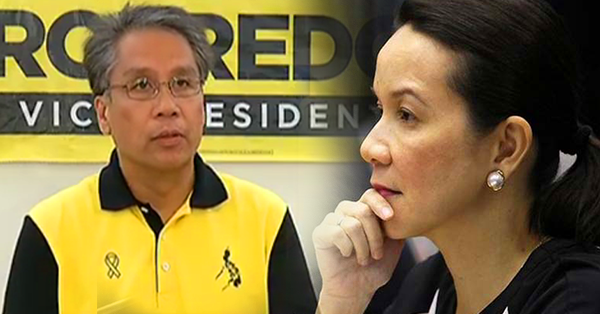 SHOCKING: Mar Roxas Calls for "Unity" with Grace Poe! Mar Roxas has continuously ranked 2nd or 3rd in the latest presidential election surveys. It seems like he really won't accept defeat and is willing to do everything just to be in Malacañang. In an announcement he made today, he said he is open to talk with one of his opponents, Grace Poe, whom he is statistically tied in recent surveys. He tagged this as a talk "for the unity of the country." In a press briefing he mentioned: "We now face a possibility of a leader coming into power who cares nothing about honesty, integrity, transparency, responsibility, or even just basic decency. Sa harap ng lahat ng ito, responsibilidad ng kahit sinong mamuno na pag-isipan ang interes ng pangkalahatan." "I call for unity, decency, democracy. I call for rule of law. I call on Senator Poe: Grace mag-usap tayo. Sabihin mo lang kung saan at kailan, at darating ako. This is for unity, this is for our country for our future, the LP standard bearer added." The public is still waiting for an answer from Poe's camp.